The behavior was apparently consistent enough that several players on the team reportedly filed complaints with the school in 2016, leading to a “tearful” team meeting and Corey Myers’s resignation. 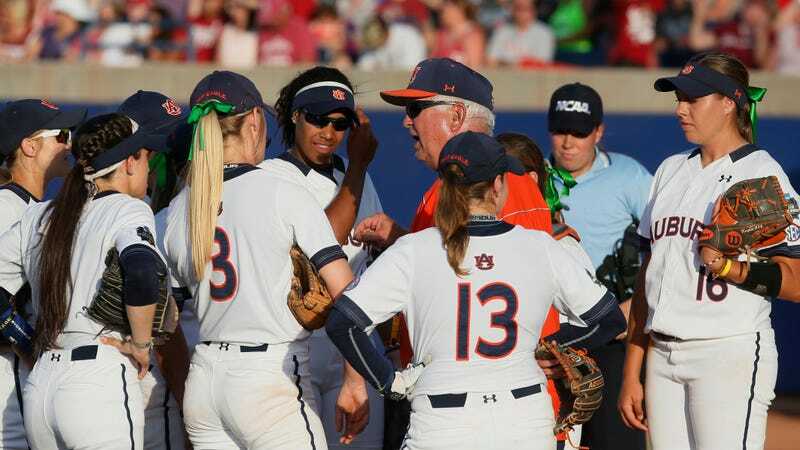 Myers reportedly returned to the program two weeks later after head coach Clint Myers and another member of the coaching staff encouraged players to articulate support, to the athletic department, for his reinstatement. Auburn University prohibits all faculty, administrators and supervisors, including graduate teaching assistants, from pursuing or engaging in romantic or sexual relationships with students, both graduate and undergraduate, whom they are currently supervising or teaching, as well as with employees whom they are currently supervising. Violations should be promptly reported to the University’s Affirmative Action Office. Violations of this policy will be addressed through appropriate disciplinary action. The school reportedly confirmed to Greenberg that an internal investigation into the program is ongoing.